Venue : AES College campus , Anjar. 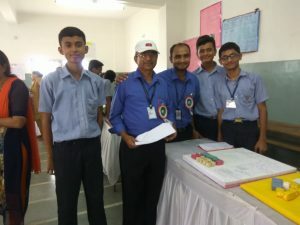 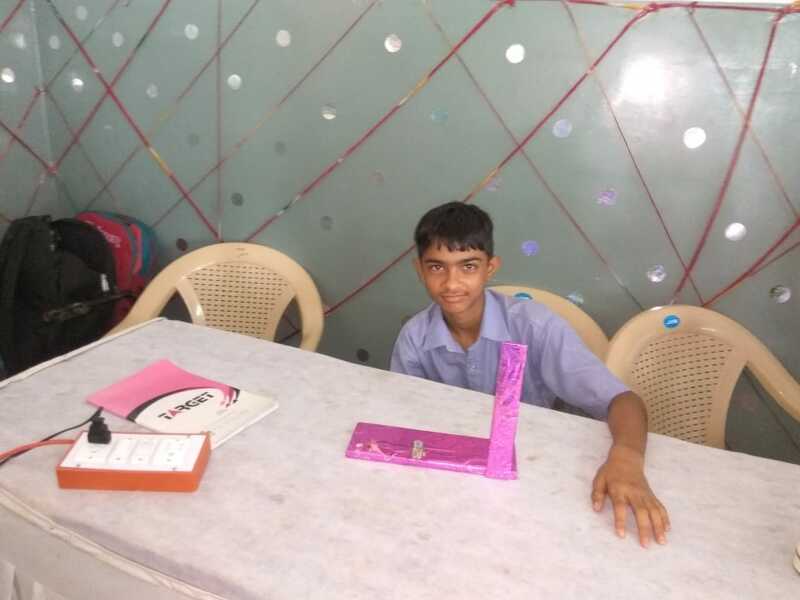 Student’s of Anjar Education Society recently organized Science -Maths fair -2018 – the Science exhibition at the school campus on 21st July2018. 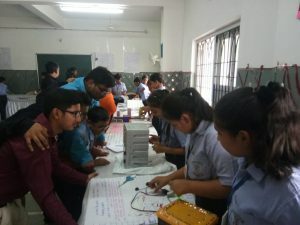 It was an innovative and experimental day for all the AESian . 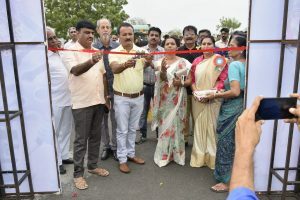 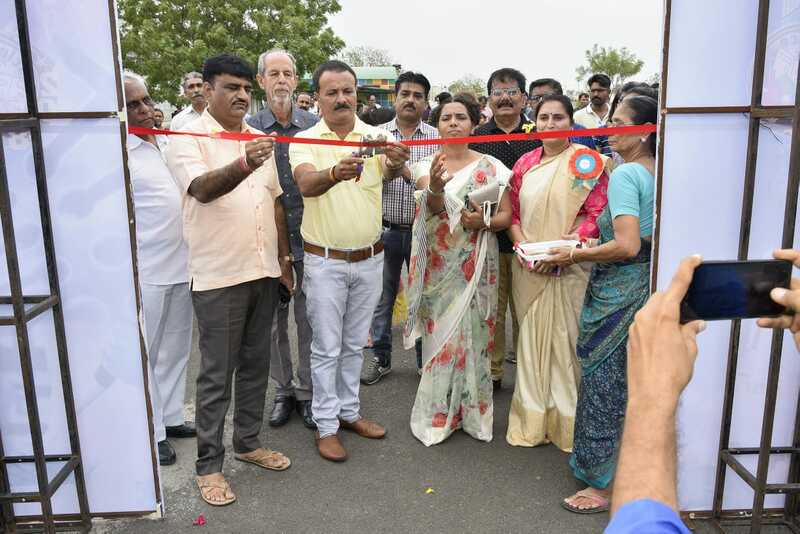 President Mr. Chandrakant Palan and the Chief guest shree Rjaeshbhai Palan( president, Anjar Municipal Corporation), Mrs. Dharmesthaben Khadeka,( Vice president ,Anjar Municipal Corporation) Mr. Bhojabahi Ahir ( Sarpanch, Meghpar) the Principals of the all the sections inaugurated the event by cutting the ribbon and lighting the traditional lamp. 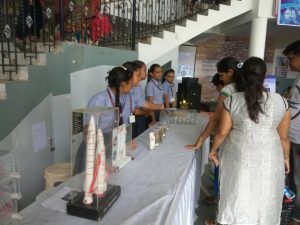 The science fair coordinator Miss .priyanka Tiwari and Mr. Hiren Patel welcomed the Chief Guest by presenting a medicinal plant TULSI to them. 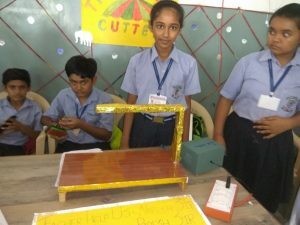 The Chief guest appreciated the novel ideas of the participants. 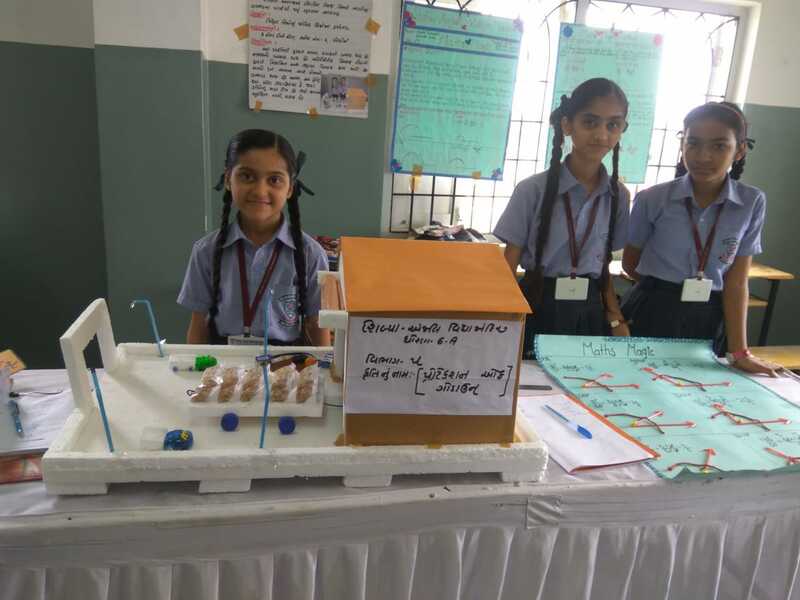 The exhibition provided a platform to scientific experimentation and innovation to the future scientists. 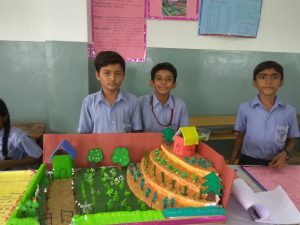 The enthusiasm and skill clubbed with in depth knowledge was commendable . 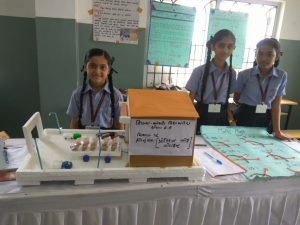 With an Endeavour to promote scientific attitude among students the exhibition was one of its kind. 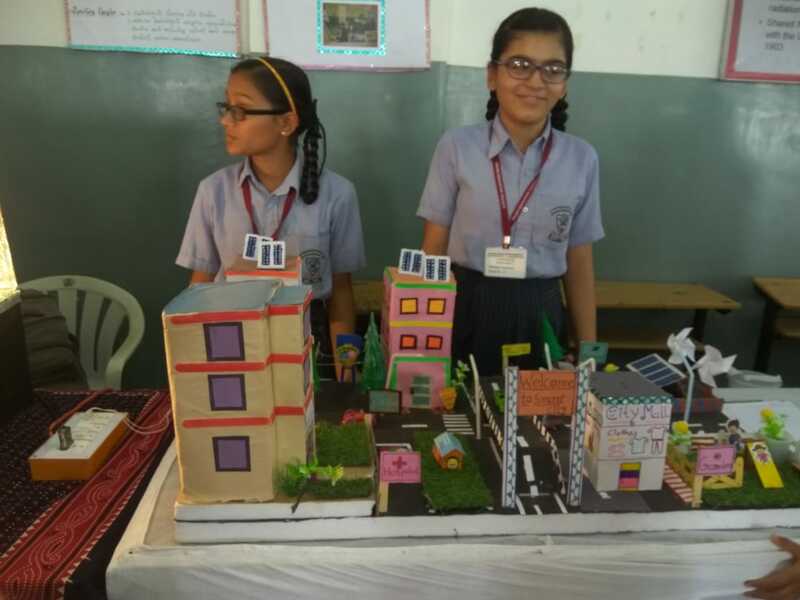 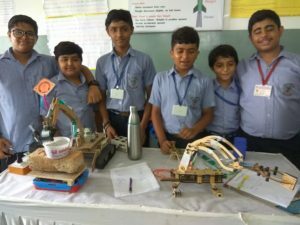 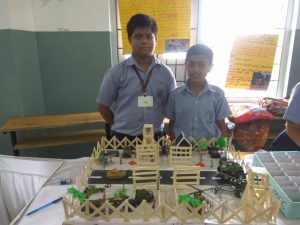 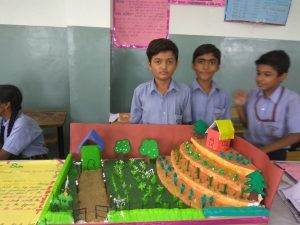 The exhibits were judged by the Mrs. Bhavanben Jobanputra, Hire3nbahi Dave, Mr. Kalpesh Sorathaia, Mr. Vadher and Award winning projects were given certificates. total 96 models and project were displayed. 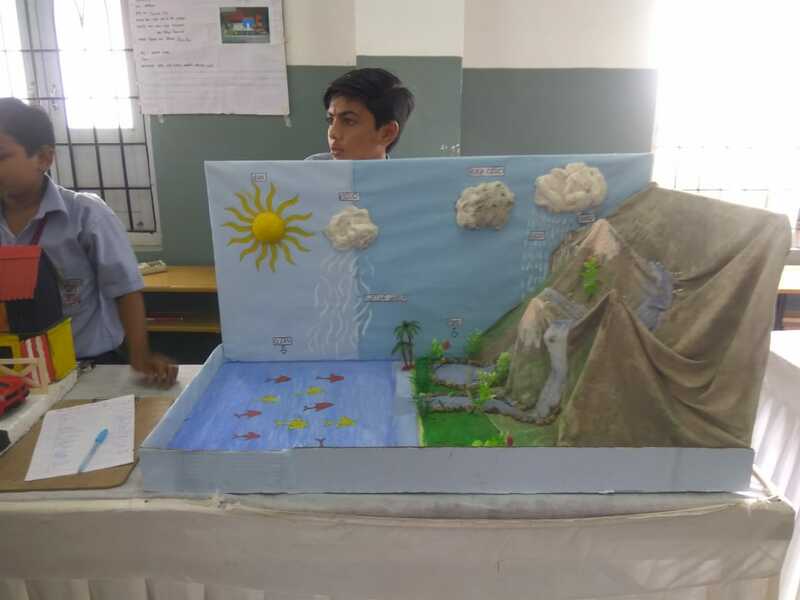 students excellently explained the content and objectives of the science in daily life.Mr. Praffulbhai Pandya , Secretary, AES, Mr. Kiranbhai Shah ( Trustee shree) appreciate the efforts and congratulate the science fair cordinator Mrs. Priyanka Tiwari and Mr. Hiren Patel for organizing and evening such wonderfully science fair . 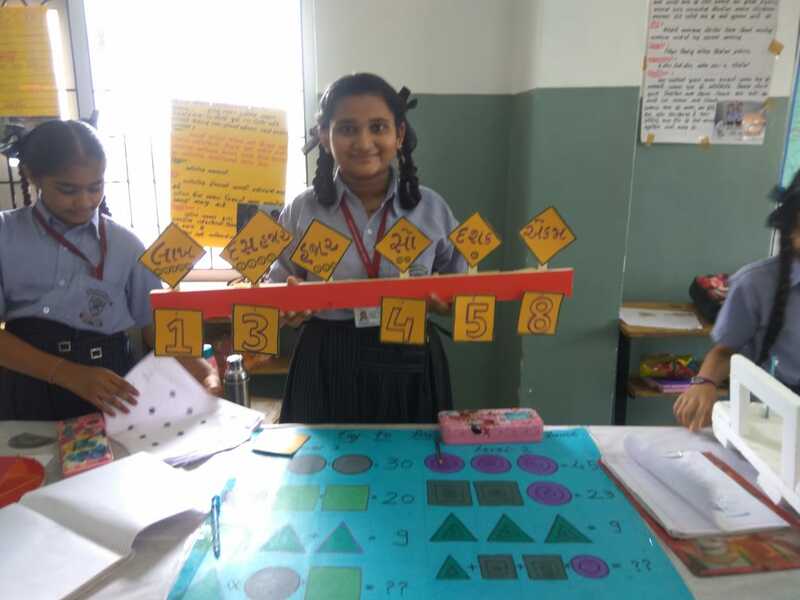 Students explained science and mathematics in daily life very beautifully in common language.